Announcing the 2018 PASEsetter Winners! Congratulations to the 2018 PASEsetter Award Winners! 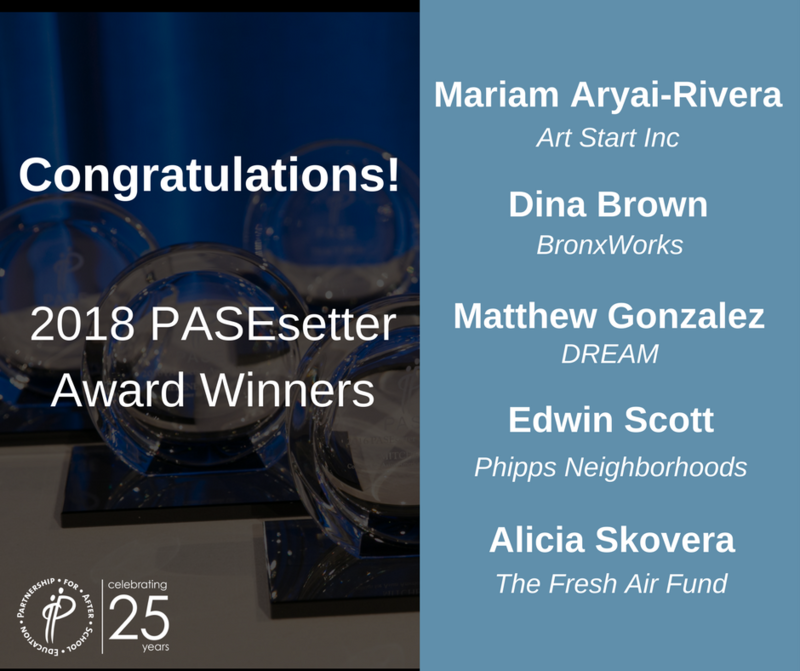 PASE is thrilled to announce the winners of the PASEsetter Awards whom we will honor on February 27, 2018.